Remi Roy is a writer and author who grew up in Lagos, Nigeria as the last of four children. 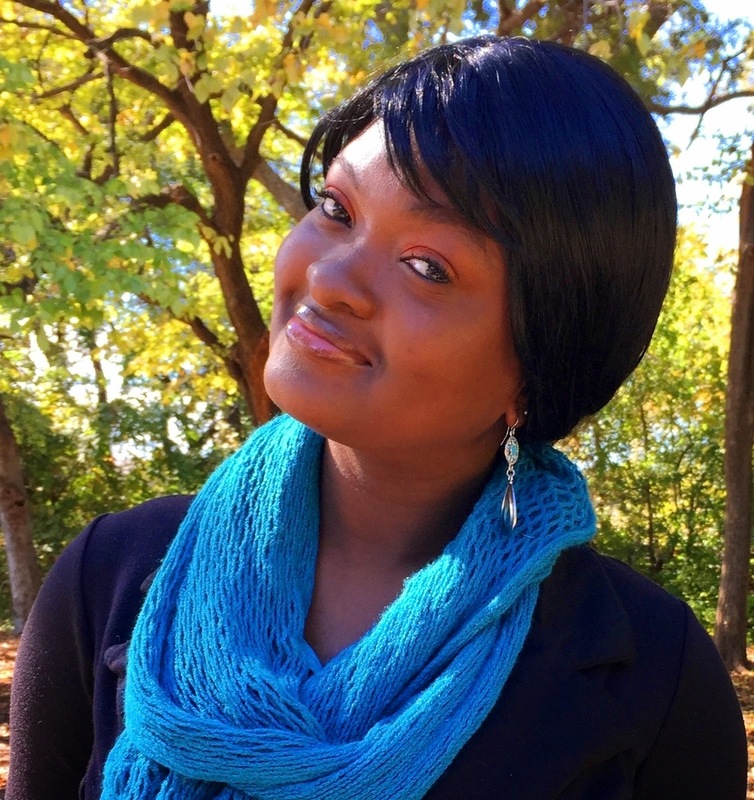 She used to work as managing editor for a magazine and publishing firm, and has just finished her Master’s Degree in Emerging Media and Communications in a Texas university. Ms. 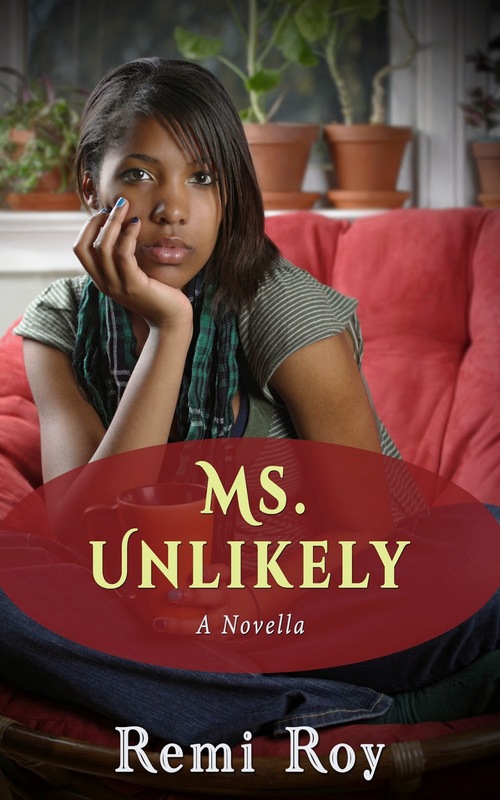 Unlikely is her first book and I'm just as excited for her as she is. - What inspired you to write this book? My experiences. I haven’t always known what to do with my life. I grew up wanting to be a doctor, I ended up working in publishing. And I’m still figuring things out. So I thought, hmm, if I feel this way, my bet is I’m not alone. So I wrote this story about a young woman in search of meaning, fulfillment and, of course, love. - What do you like best about the book, who is your favorite character in it? - Do you have a specific writing style? As I grow as a writer I realize that I love dialogues. I love to explore relationships (by that I don’t mean just romantic ones) and relationships do not thrive without communication. I love writing dialogues. This means I have to work harder when I’m writing descriptive scenes. - What are your current projects, any other book coming soon? I’m about set to start on my next novel. I have a theme I want to explore and I’m excited about it. Grad school sucked me of time and energy and I’m not great at multitasking. ☹ But now I’m all set to go! - Do you see writing as a full time career or do you have another day job? I really hope writing can pay the bills. That will be a dream come true. But for now, I gotta work! - Can you share a little about your writing routine? How does your career impact in your writing? Ha! I wish I could say something cool like I work during the day and write at night. But God knows all I do at night is sleep away! I pretty much write anytime. I catch a few hours here and there during the day until I’m done. - Ms. Unlikely is your first novel. Tell us what inspired it, and details about how you got published. Apart from my own experiences, one big influence that got me started writing my book was reading Kemi’s Journal by Abidemi Sanusi. Something just went off in me when I read that book and I thought, ‘I can write that story that’s been in my head for a while now.’ And I did. When I got ready to publish I decided to go the DIY route. I talked to some awesome people I really respect, weighed it all and self-publishing seemed like a great option for me. It. Is. Not. Easy. But it’s worth it. I love working on projects anyway and this was my personal project so I loved every moment of it. - Is there anything you find particularly challenging in your writing? Yep. Being descriptive. But I work hard at it because it’s very important. Apart from that writing feels like an out of the body experience sometimes. I only realize I was writing when I’m done. - When and why did you begin writing? When did you first consider yourself a writer? I started writing seriously in 2008. Before that I would just scribble my thoughts, write awful poems and silly stories. Sometime in 2009 I got on Faithwriters.com and got good reviews. I guess that was when I thought, ‘Hmm, this makes sense. Maybe I can really do this.’ Naijastories.com was the next big step that chased my doubts away. Well, most of them. - What books have influenced your life most? Oh my God! So very many. Redeeming Love by Francine Rivers. The Concubine by Elechi Amadi. Scent of Water by Simisola Ogunyinka. Kemi’s Journal by Abidemi Sanusi. And that’s just to name a few. They have all influenced me for different reasons. - Who is your favorite author and what is it that really strikes you about their work? I used to think I knew the answer to that question but now I realize there are so many favorites. But what strikes me most about writers I love is how they are able to write books that just make you reflect on deep issues and still enjoy the read without feeling overwhelmed. That, for me, is priceless. - If you had to choose, which writer would you say writes in about the same line or genre as your book? You know, like if you like this book, then you'll also like mine? Hmm, I’d say Abidemi Sanusi’s Kemi’s Journal. - Are there any new authors that have grasped your interest? What books are you reading now? Yes! I love Onyih Odunze’s Finding Grace. Just finished reading that a few weeks ago. Dayo Benson is different shades of awesome. Reading her book, Raw Deal, right now. Looking forward to Reading Ola Awonubi’s Love persuasion. - What do you think of the Nigerian publishing industry? Hmm. There are very few ‘legit’ players and there’s a long way to go. - What comments do you have about the reading culture in Nigeria? I seriously think we can do better on both the publishing and consumer ends. We need to PRODUCE and EMBRACE quality Nigerian content. Thank you so much for your support and love. I hope you enjoy Ms. Unlikely as much as I enjoyed writing it. And most of all, I hope all your dreams come true, with pomp and splendor! - Where can we purchase the book?